Toyota Motor Co. unveiled the first completely redesigned version of its popular Corolla in many years at a lavish event in Santa Monica, Calif. Thursday. The Corolla is, arguably, the world's most popular car. It was introduced in Japan in 1966, coming to the United States two years later. By now, Toyota (TM) claims to have sold almost 40 million of them. Even in its current version, which is far from cutting edge in terms of its engineering and technology, the Corolla is already the best-selling compact car in America and Toyota's second best-selling model after the Camry. 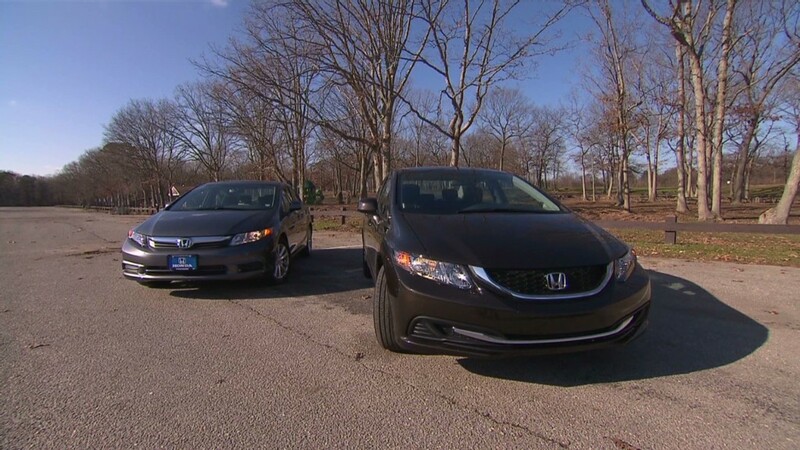 The new car, which will go on sale in the fall, has sharper lines and, while still a compact model, is four inches longer than the current Corolla. The extra size allows for more rear seat comfort Toyota says. While Toyota has not yet released fuel economy figures, the automaker did say that it expects the most fuel-efficient version of the new Corolla to achieve 40 miles per gallon on the highway. That would make it competitive with newer non-hybrid compact cars. Currently, the most efficient version of the Corolla gets an EPA-estimated 34 mpg on the highway. The fuel economy improvements come from, among other things, a more aerodynamic design and an available hi-tech transmission. The new transmission is continuously variable. Rather than having just four "speeds," as today's Corolla has, this type of transmission can change gear ratios in a smooth, continuous fashion as the car speeds up or slows down. Continuously variable transmissions, or CVTs, can be more fuel efficient than ordinary stepped transmissions. But CVTs can feel strange to drivers accustomed to ordinary automatic transmissions. They can make the car's engine sound as if it's straining. To combat this, Toyota has added computer software that causes the CVT to behave like a seven-speed transmission. During acceleration, the engine will speed up and slow down as if gears were being shifted in the ordinary way. The transmission can be programmed to behave differently in different versions of the car. For instance, in the Corolla LE ECO it will be have a special fuel economy mode. In the Corolla S there will be a performance-tuned sport mode and drivers will be able to "shift gears" themselves using steering-wheel-mounted paddle shifters or using the gear selector. The new transmission will come on the vast majority of new Corollas sold in the U.S., Toyota said. A six-speed manual transmission will also be available and a four-speed automatic will come in an extremely low-priced version of the car. 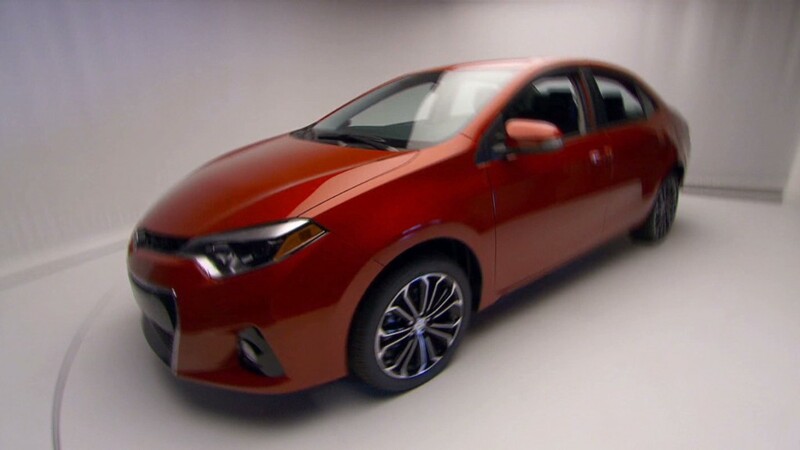 In addition to the new exterior design, the Corolla's interior has also been upgraded, with all versions of the car getting brushed chrome accents and contrast-colored stitching on the seats. The car was revealed at an event featuring acrobats, comedian Adam Carolla and a display of Corolla models from the past. The event was attended by about 1,000 people including journalists, Toyota dealers and current Corolla owners. The Corolla's market segment has become more competitive with the introduction of redesigned models like the Hyundai Elantra, Ford Focus and Honda Civic. Most versions of the new Corolla will be powered by a 132-horsepower 4-cylinder engine but a special high-fuel-economy version -- the one expected to get 40 mpg -- will be powered by a stronger 140 horsepower engine. Toyota has not yet announced pricing for the new Corolla but it's expected to be similar to that of the current model, which starts at around $16,000. The new Corolla will go on sale in the U.S. in the fall.